At first, Woodbury seems like a perfect sanctuary. Squatters barter services for food, people have roofs over their heads, and the barricade expands, growing stronger every day. Best of all, a mysterious self-proclaimed leader named Philip Blake keeps the citizens in line. 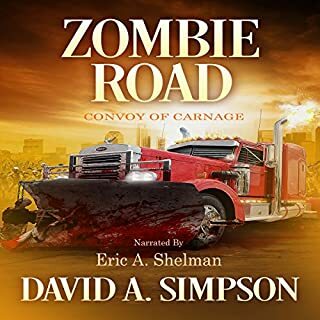 But Lilly begins to suspect that all is not as it seems.... Blake, who has recently begun to call himself The Governor, has disturbing ideas about law and order. Ultimately, Lilly and a band of rebels open up a Pandora’s box of mayhem and destruction when they challenge The Governor’s reign - and the road to Woodbury becomes the highway to hell in this riveting follow-up to Robert Kirkman and Jay Bonansinga's New York Times best-selling The Walking Dead: Rise of the Governor. Profound! Sadistic! Ruthless! Twisted! SURVIVAL! Fear humankind and the zombies! I could not put this book down. I wish they would have incorporated more elements of The Road to Woodbury in the TV series. Elements that do appear in the series are: Penny, Philip, the heads in jars, and the town. I may be forgetting a couple more. This book explains the Philip and penny storyline and how Philip came to power. The book is fast paced, filled with teeth gritting, breathe holding, horror. What made the experience of listening to The Walking Dead: The Road to Woodbury the most enjoyable? The book is awesome. It picks up right after the Governor takes power, with a small group of refugees entering Woodbury. This book adds to the series perfectly. Following a group that finds their way to Woodbury a few weeks after The Governor took control of Woodbury. The group does not know the history in which The Governor came to rise to power, but they start to see the rot under the veneer. Eventually the group is thrown into situations far deadlier than the Walkers. The Walking Dead series is a genre in its own. Character development is a crucial aspect to these books. The listener can empathize with at least one character. Everyone who listens or reads zombie fact/fiction books has the “I know what I would do.” quote, but what would you do if your first and typically only plan didn’t pan out as expected. You would eventually end up like characters in these books. Would you be an Alpha or a Follower? These books give an insight into how the world would be if civilization crashed and an ever eminent threat loomed over them. This installment follows a group of unsuspecting individuals that are welcomed into Woodbury where the Governor has risen to power. They know all is not as it seems, but a safe place to sleep. The entrance of this new dynamic help start in motion the events change the future of all the characters and Woodbury. I always like the interactions between characters. The way these authors build them into people and not just "characters," and put them into real world situations. That would be Josh, although the Governor is pretty tempting too. Buy it NOW awesome series!! More please! Awesome series. There were a few zombie twists/scenes that were unexpected and nothing was really cliche. Characters were believable. I swear I'm still laughing at the exchange between Sara & her stoner boyfriend in the back of the pickup truck. "Dude you totally farted and it was girl fart" I'm telling you Fred Berman could be on a stage somewhere. He's good! I mean I swear I listen to alot of books and this is the first one where the material, the scene setup & the presenter made me laugh outloud! I actually liked both of the books in the series and was pleasantly surprised by that. I LOVE the way the authors set up a chapter so you know what's going to happen but you do NOT know the outcome. Talk about suspense! LOVE it!!! If you're a walking dead, zombie, apocalypse or syfy fan you HAVE to get these books. I just wish there were more! What I thought of the characters: I am going to be honest, I don't think you are supposed to like or relate to any of the characters in Woodbury. They are a little less one dimensional in this 2nd installment but still not a lot of character development. Lily was a fantastically flawed character with many dimensions and you wanted to root for her! 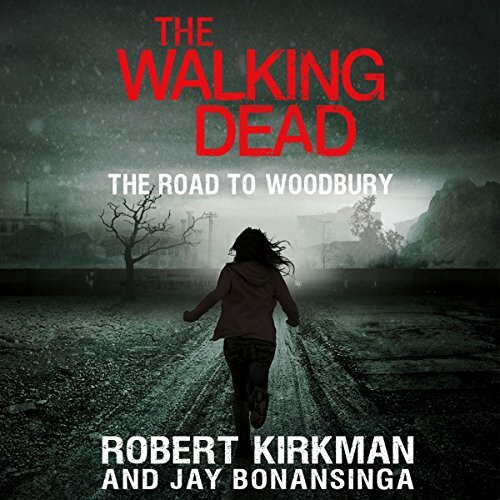 What I thought of the audio: Narrated by Fred Berman and at a running time of 9 hrs and 56 mins, The Road to Woodbury (or actually the series) is one I would suggest you read not listen too. I just don't think the story plays as well in audio. WOW!! How good was this book!! Must read!! Ok, first let me rebut my first review of the Rise of the Governer. 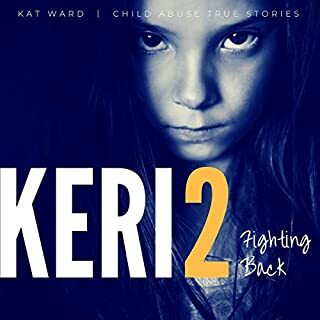 I complained somewhat that the author was "trying too hard to make as detailed and analytical " & "It just distracted me to much from the storyline". Boy was I ever wrong. I just loved the detailed in this book. It was just in aw how he kept using these adjectives and they were just spot on! I have read all the comics and I have recently re-read just past the prison in Comic books. Let me tell you there are charactors in this book that tie into that series of issue of the prison and Woodbury. And it's just cool to seem them in both. So I give a 10 out of 10 for this audio book! I Don’t get the complaining!!! This book did NOT have he characters from the tv show in it. Instead, it features a whole new plot line, explaining the governor in depth: who is he and how did his experiences make him into this fearsome villain?? 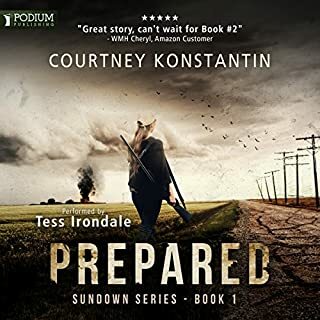 I may be late on the bandwagon, but I am so thoroughly enjoying this series that I bought an extra 3 credits from Audible (and will be buying another 3 shortly) to continue this series. Maybe it is because I just struggled through ‘After It Happened’ which has lass than zero real conflict and characters you couldn’t care less about if you tried, but I am so enjoying this series. Actually I take it back. I’d love this series no matter what I compared it to. TLDR: Just do it! 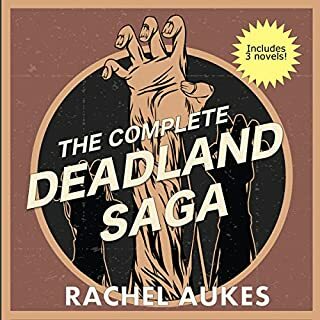 I’ve just about exhausted Audible’s post apocalyptic/zombie fiction selections, and this is definitely a stand out. I wish they were longer. Sooooo good. I recently realized I had an actual crush on Josh. Good performance. Interesting story. Not as much about the Governor as I had expected though. What was one of the most memorable moments of The Walking Dead: The Road to Woodbury? This coincides with the comic book version of the governor. I enjoyed it. The book was Awesome! What disappointed you about The Walking Dead: The Road to Woodbury? Poorly written storyline that used an absurd amount of adjectives and adverbs creating a much longer story than necessary. Not only did it feel long but it also did not develop the characters properly leading to large leaps in relationships that were unbelievable. Has The Walking Dead: The Road to Woodbury turned you off from other books in this genre? 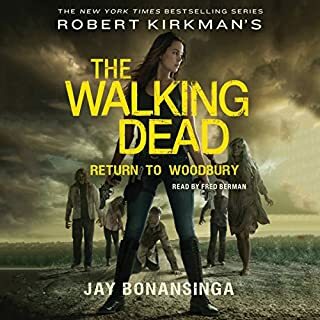 It has not turned me off from this series because I am addicted to the "The Walking Dead" series as a whole, but I will admit to reading this book as a guilty pleasure and feel a little ashamed. Outstanding performance by Fred Berman. With out his strong performance I would not have made it through this book. A must for horror lovers! I LOVE this series of books! 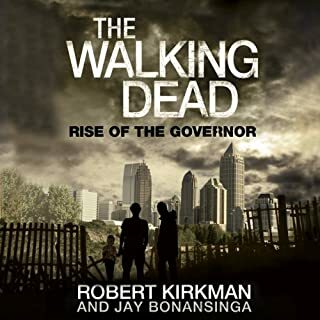 The Rise of the Governor gave us an insight that isn’t available in the graphic novels or TV series. This second book is more in depth still. I never read a graphic novel before The Walking Dead (assuming that at 44 I was a little old for them!) but the whole lot, graphic novels, TV series and now novels are amazing! If you like zombies you will love these books but they are also great on the human level too. Give them a go, you won’t be disappointed! If you could sum up The Walking Dead: The Road to Woodbury in three words, what would they be? What does Fred Berman bring to the story that you wouldn’t experience if you had only read the book? Fred Berman brings this book alive, was sooo glad that he narrates all the books. If you love The Walking Dead on TV then buy these four books, you will not be disappointed. You will learn so much more about the Governor than you do in the Tv programme. No for a weak stomach if your a fan of walking dead then these books are a must! I'm really enjoying this series so far. As a fan of The Walking Dead TV show, I was worried it might not live up to my expectations but it surpassed them. It provides more background for The Governor and Woodbury and I haven't been able to put it down as the narrator builds suspense well. Really looking forward to the introduction of Rick and the gang in the next one. A great story in the walking dead series. Can't wait to get stuck into the next one. You're not locked out, you're locked in!! I listened to it because it is the walking dead.. but there was no real story.. just how sick rhe govener is..